Volunteer Joyce Short delivers freshly prepared Thanksgiving treats at the Senior Center, last year. "Alone on Thanksgiving? Nowhere to go? Come join us at the RIDA/CBN Senior Center annual Thanksgiving dinner," says Roosevelt Islander Wendy Hersh. She's arranged the feast with an assist from the Carter Burden Network and a team of volunteers. 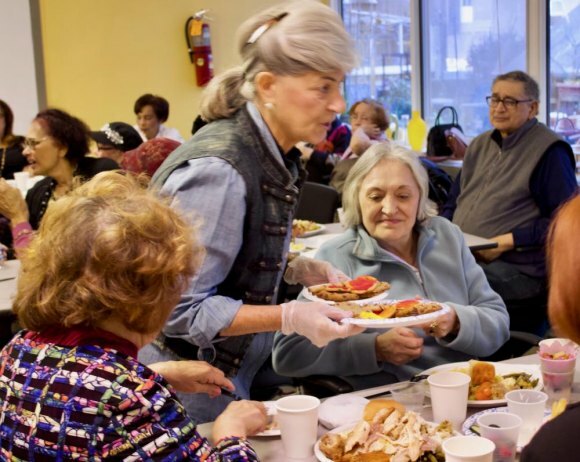 As with other Thanksgivings, the Roosevelt Island Senior Center opens its doors on Thursday, welcoming one and all to a warm, lovingly prepared, traditional meal. 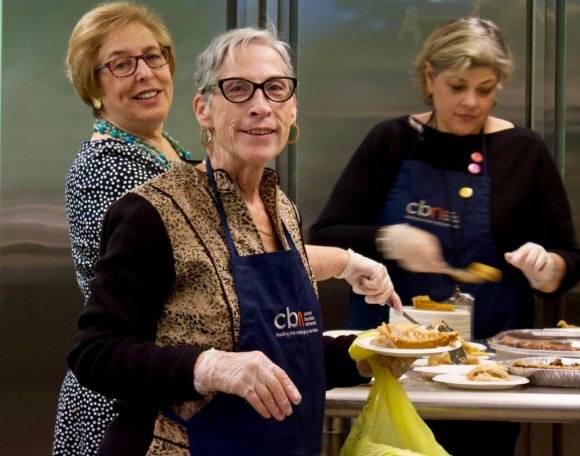 No one will be turned away as volunteers from CBN and the Roosevelt Island Disabled Association swing into action, welcoming all comers from 1:00 to 3:00 on Thanksgiving. Giving up holiday time for others in 2017, historian Judith Berdy, RIDA President Wendy Hersh and CBN Director Lisa Fernandez. To help them manage expectations, please sign up with Yulisa Santana at the Senior Center, 546 Main Street, if you can.